Chiang Rai is a big industrial city (the city core has about 70,000 inhabitants) in the very north of Thailand. It's also the province capital of Chiang Rai Province, the northernmost province of Thailand. 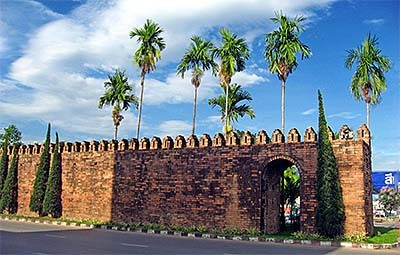 The city is situated at the banks of Kok River, a tributary of the Mekong River. The whole province is coined by a picturesque mountain scenery and large, fertile valleys. In the guidebooks, Chiang Rai was always promoted as a destination worth to go; however, I couldn't ever find a good reason why. 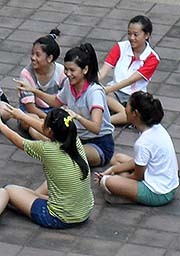 It's a big, noisy place, and, despite it's long and meaningful history without any historical remains of significance. In the last ten years also the traffic boomed so much, that it is along many roads really a pain in the neck to be here. It's not the province capital what is worth to be visited - it's the province with it's great landscapes. The average altitude of Chiang Rai Province is 580m above sea level. Chiang Rai city itself lies in the fertile alluvial plain of the Kok River, and therefore the direct surroundings of the town are flat. From time to time it comes to earthquakes in the wider area; their epicenter is, however, rather in the Shan Province of Burma/Myanmar. In the province live a lot of different hill tribes in more or less remote mountain villages. 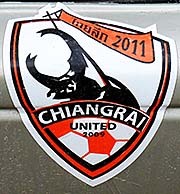 Aproximately 12% of Chiang Rai's population are tribal people. Also in the city itself live many tribal people. 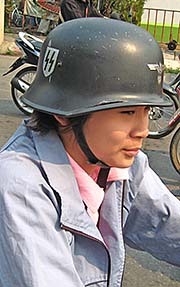 The majority of the people in the north is generally Thai Yai (large Thai), who are officially considered being standard Thai, but who have indeed an own ethnic identity, culture and history. The province's border to the east and the north forms the Mekong River, who is at the same time the border river between Thailand and Laos. 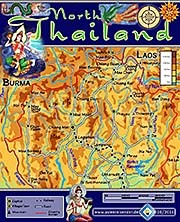 Chiang Rai is also part of the region called the Greater Golden Triangle. 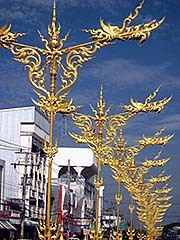 Chiang Rai was founded by king Mangrai, the first king of Lanna, in 1262 as the first capital of the new kingdom. 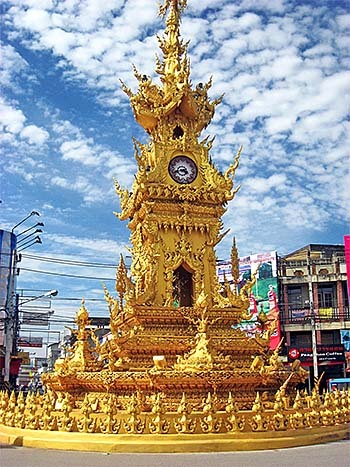 It remained the capital until Mangrai moved it to newly founded Chiang Mai in 1296. The place itself was inhabited much longer before already by Lawa and Mon People (see also: The Dvaravati Culture). Lanna itself was for a long time an independent and powerful kingdom, until it came under Burmese rule in the 16th century. It was only much later, at the end of the 19th century, fully incorporated into Bangkok Siam. 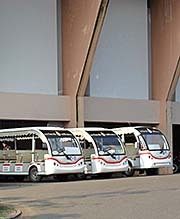 For transport within the province serves still the old bus station in the center of the city, directly next to the night market. Another, larger bus station is about 10km south of town, where the buses to Chiang Mai, Bangkok and other bigger cities further away go from. There are also two airports out of town, one is Chiang Rai International Airport, the other one a military airport of the Thai airforce. Road no. 1 (Thanon Phahonyothin is one of Thailand's four main highways) starts at Bangkok's Victory Monument and leads northwards up to Chiang Rai, continuing to Mae Sai, what is the northernmost point of Thailand and a border town to Burma/Myanmar. In the old days, the waterways were mostly the only passable routes who connected the towns. Nowadays, the automobilization led to a huge and dense road network, and the old ways are almost completely abandoned. 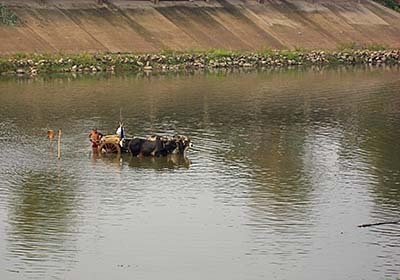 As more interesting it is that there is still a frequent boat connection between Chiang Rai and Tha Ton. Since many years is the talk of a railway extension from Thailand's northernmost railway station in Chiang Mai up to Chiang Rai, further to Chiang Khong, crossing the Mekong at the new bridge there and leading through Laos up to Kunming in China's Yunnan Province. That would connect the Thai railway net with that of China and, alltogether, Beijing with Singapore. But it seems still unclear if and when this project will be undertaken. 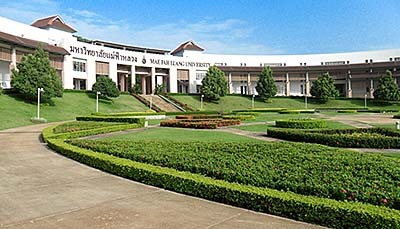 There are two big universities in Chiang Rai; Mae Fah Luang University looks very fine and is an institution where wealthier families send their children to study, while Rajabhat University is for those who can not compete with the bigger wallets of the first. Although the climate is still tropical-monsoonal, the rainy seasons are shorter here than in central or south Thailand and the temperatures are clearly lower. In the winter months it can get a bit chilly in the evenings, and in the mornings one gratefully enjoys a small fire for warming up or, alternatively, standing in a sunny spot in the garden to enjoy the sun's warmth. Chiang Rai is, as the whole north of Thailand and the Greater Golden Triangle, annually affected by a months-long heavy haze in the dry season between November and June.